Posted on this site are a series of patient stories that introduce topics covered in the ADT book and the online class. If you are new to ADT you might find it helpful to hear from other patients about their experience on ADT. You will find short descriptions below of three couples: Don & Kathleen, Abby & Darcy, Harold & Kim, as well as two single men, Cal and Bruce. You may find that you identify with one story more than others, and you might like to keep following that person’s story. Here’s a bit of background on the people talking. When you click on the images below, a new tab will open for videos hosted on VIMEO and you will be directed to enter a password. Access is password protected as these video clips are intended to be used by individuals enrolled in the online ADT Educational Program. You will have been given the password upon enrolling in the class. Don and Kathleen have been married for nearly 40 years. Don has a previous history of heart surgery and his voice is impaired by damage incurred to the vocal cords from being intubated (having a tube inserted into his airway). 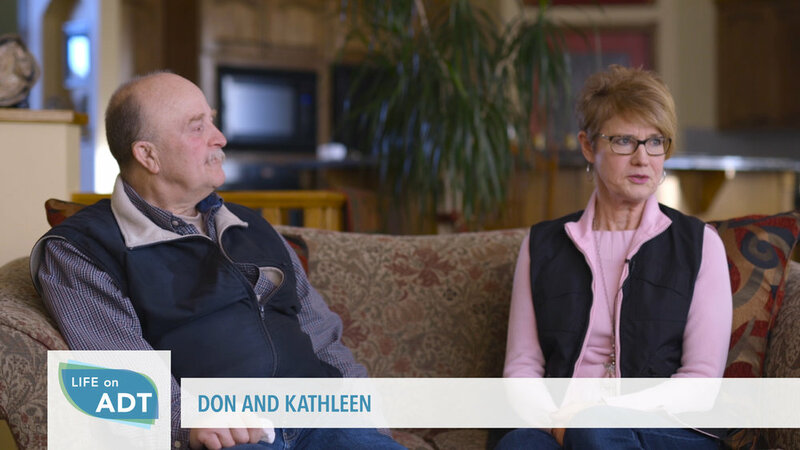 A couple of years after his cardiac event, Don was diagnosed with advanced prostate cancer. He was referred for radiation therapy, but found out he was not a candidate for it. He quickly started on ADT. 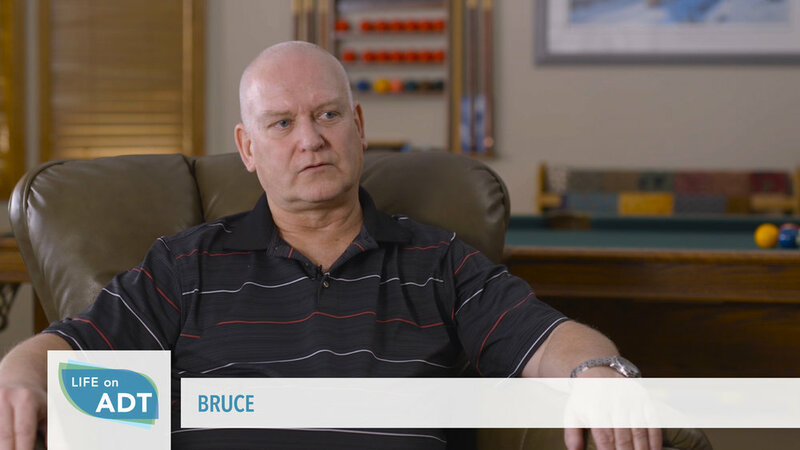 Bruce is a single man, who is being treated with ADT and radiotherapy for prostate cancer. Meet Abby and his wife Darcy. Abby’s prostate cancer wasn’t diagnosed until it was quite advanced. It took a long time for the diagnosis because his cancer is a rare form that does not secrete PSA. He underwent external beam radiation treatment and has also been on ADT a little over 3 years. 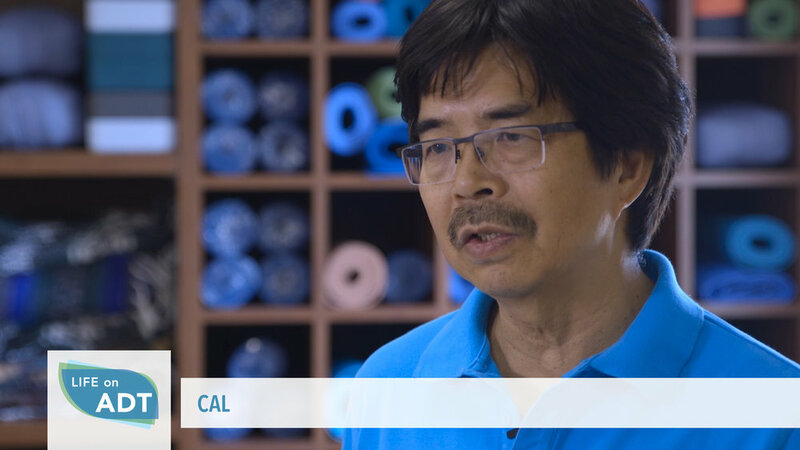 Cal is a 67 year old man, who started on ADT in combination with external beam radiotherapy. He was initially unsure about attending the ADT class believing that he already knew a lot about ADT side effects. However, after hearing from his doctor about the class’s value in managing those side effects, he decided to attend. Harold, 72, and his wife Kim, have been married for 31 years. Harold has been on ADT for 2 years in combination with external beam radiotherapy. They participated in the ADT Educational Program as a couple. In this video, they talk about how they used the Program to take charge of their health, and how they continue to use what they learned. Once you have viewed the clip introducing you to the patient, you can read the detailed captions of all the remaining video clips, which discuss the various side effects of ADT, and may be relevant for you. Clips average about 2 minutes in length. You are encouraged to watch only those clips that appeal to you and skip over others.